Lonely Planet Best In Travel: Nat Hab Destinations Top List! Lonely Planet has announced its 2016 Best in Travel awards, and we at Nat Hab are excited to showcase several of them in our collection of the World’s Greatest Nature Journeys! They couldn’t be more diverse, as destinations go. Which of these hot spots is on your must-experience list for 2016? If it’s Botswana’s epic wildlife you’re in search of, there’s no better way to see it than on one of Nat Hab’s renowned small-groups safaris. 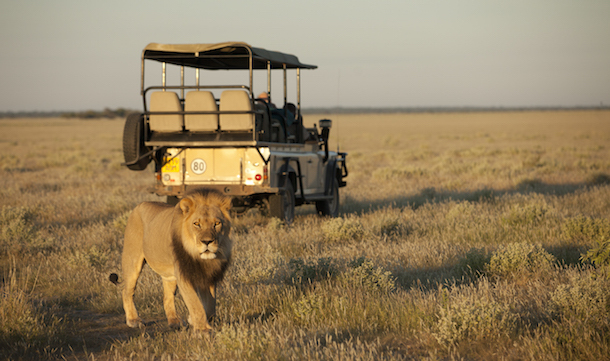 Secluded Botswana is our flagship safari, but we’ve got a whole host of Botswana adventures, from photo and family safaris to combinations that include Namibia and South Africa, too. From the hippo-filled Chobe River to the watery Okavango Delta and arid plains of the Kalahari, Botswana offers a mosaic of habitats that protect astounding amounts of wildlife. 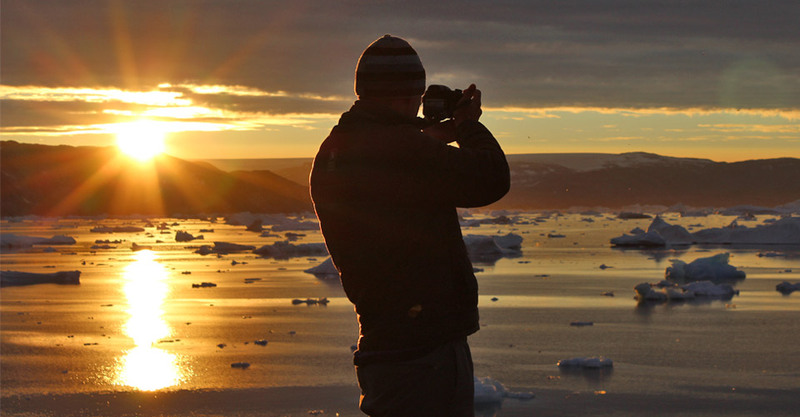 And guess what: You can now enjoy Greenland’s rugged wonderland of high peaks, frigid fjords and drifting icebergs and still return to warmth and comfort each night at Nat Hab’s new Base Camp Greenland. This remote expedition camp located on Greenland’s little-visited east coast hosts up to 15 guests in eight heated tent cabins with en suite toilets and washbasins. Hot showers are available, too, while hearty, home-cooked meals are provided by the camp’s own chef. It’s a most welcome retreat after invigorating days spent hiking, kayaking or weaving your way through the floating ice on a Zodiac outing to the edge of the Greenland ice cap. The wild and rugged Kimberley coast on Australia’s northwest shoulder is largely inaccessible except by sea. The vast Kimberley plateau runs headlong into the ocean, bearing scars of the erosive action of surf, wind and water over millennia. Rivers cut deep gorges through ochre sandstone, and waterfalls plunge over cliffs. Dazzling white sand beaches front the turquoise ocean. 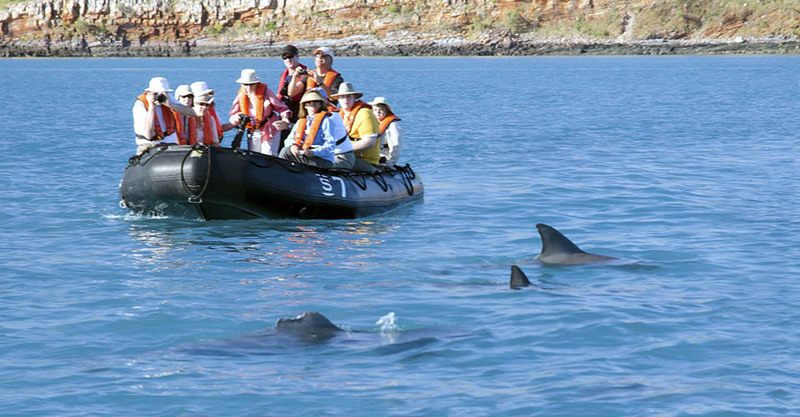 Excursions by boat, Zodiac and helicopter reveal the Kimberley’s wonders: the mighty gorges and pools of Mitchell Falls, Prince Regent Nature Reserve with its astounding wildlife, desert tableaus dotted with bizarre boab trees, and the entrancing isles of the Buccaneer Archipelago. Though the Kimberley is sparsely inhabited except by wildlife, its rich human history is also on display in stunning galleries of Aboriginal rock art. This spectacular rural valley in Cuba’s heartland has drawn accolades from Lonely Planet as well as guests on Nat Hab’s Undiscovered Cuba adventure. Most people’s knowledge of Cuba, says Lonely Planet, “extends no further than crumbling but cool Havana and the beaches of Varadero.” A journey to Valle de Viñales reveals a less-traveled corner of the country, “where farmers’ oxen still plough the UNESCO-listed landscape,” growing tobacco, fruits and vegetables in the red soil. Nat Hab’s nature-focused Cuba trip explores this striking setting in depth. We are joined by a local botanist for a close-up look at the famous mogotes of the Viñales Valley, dramatic 250-million year-old loaf-shaped limestone mountains laced with caves. These karst formations have been worn away by hundreds of years of erosion, becoming small islands that are self-contained ecosystems. The caverns inside run underground for miles, and many burial artifacts and rock paintings by the indigenous hunter-gatherer Ciboney people have been found within. Lunch at an organic farm offers a chance to meet the family, learn about their ecologically supportive growing techniques, and sample some fresh produce. An oil boom in Ecuador is fueling the reinvention of its capital, Quito, according to Lonely Planet. A new metro system is in the works, the train station has already been refurbished, and Quito’s shiny new airport has made international travel easier and better than before. But Quito’s real attraction is not new: it’s the colonial Old Town at the city’s heart. Recognized by UNESCO as a World Heritage Site, the impeccably preserved historic district is filled with cobblestone lanes, elegant plazas and monuments, and ornate gilded churches and monasteries. Travelers on Nat Hab’s Galapagos adventures can enjoy an overview of Quito on an extra-day extension before or after their trip. 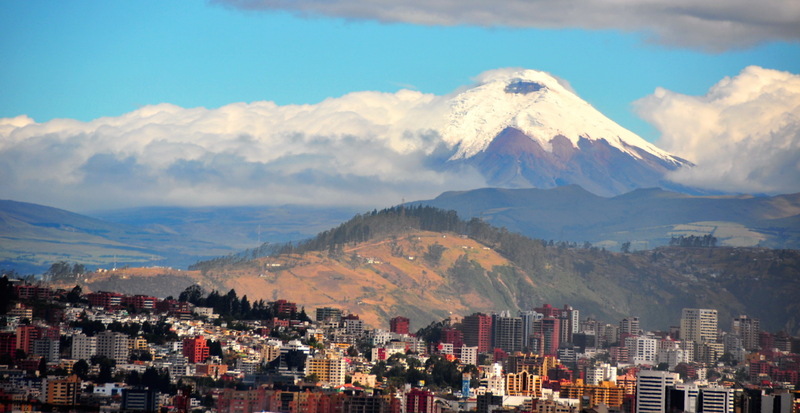 The tour includes the 16th-century Church and Convent of San Francisco; the baroque splendor of La Compañia Church with its gleaming gold-leaf interior; Independence Plaza, the original center of Quito from which you’ll view the Archbishop’s Palace, Cathedral and Presidential Palace; and a panoramic view of the city and surrounding volcanic mountains from the overlook at Itchimbia or Panecillo Hill. Lunch at Café Plaza Grande, serving traditional Ecuadorian food in Independence Plaza, is included, as well as one night’s accommodation at a luxury boutique hotel in the heart of the colonial quarter.